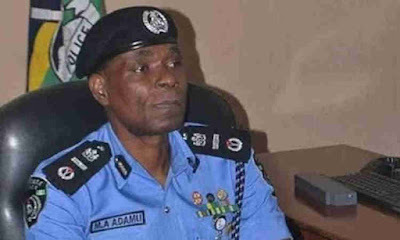 Lamenting that from January to April, 2019, Lagos has recorded four incidents of misuse of firearms which had resulted in extrajudicial killings of young citizens of the country and injury to others, he said “More worrisome is that two of these incidents occurred within the last two weeks. He also warned that such personnel who engage in extrajudicial killing will be charged for murder. He condoled with the families of victims of the recent incidents of misuse of firearms or other forms of abuse of power by identified police personnel in the state, adding that he shares in their grief. “We remain a disciplined organisation that strives to advance its covenant with the citizens in relation to protecting their lives and property and safeguarding them against any form of threat. We shall continue to provide the requisite leadership that will uphold and advance these sacred obligations and we shall do such in the most transparent responsible, responsive and accountable manner. “I want to reinforce the extant force accountability policy which holds any officer professionally and criminally liable for the consequences of their actions, particularly, if such misuse of power resulted into the death, injury or indignity of citizens. Towards this end, I am sounding this note of warning loud and clear that henceforth, any police personnel that insists on being incorrigible by engaging in abuse of his or her powers or misuse his weapons with fatal outcomes in utter disregard for statutory provisions, will be arrested, investigated through our internal disciplinary machinery and if found culpable, shall be dismissed from service. Furthermore, the line supervisor of such officers including the Area Commander, Divisional Police Officer or Sectional Head shall be held vicariously liable for lacking supervision and shall be similarly sanctioned. This is the force policy and no-one should be in doubt as to our strong will to enforce it,” he added. In its response, the United kingdom wrote as follows: “Dear Emmanuel (of HURIWA). Thank you for your letter dated March 27, 2019. “We note your concerns, including that of the increased rates of kidnapping. Please be assured that the British High Commission will continue to work with the government and people of Nigeria for the development of the country.” Similarly, HURIWA said it wrote to United States of America; Germany; European Union and Australia to come to Nigeria’s aid. “Citizens of Nigeria and foreigners who live and engage in legitimate businesses in Nigeria are no longer safe. They can just be picked up by armed kidnappers at any point in time. Kidnapping people in Nigeria now is as easy as walking into a supermarket and picking up a commodity of your choice. “In Nigeria, nobody is safe unless those that carry arms like the security agencies and those who hold executive offices. “Coordinated military operation is ongoing especially in the fringes of Gombaru – Ngala and surrounding areas to deal with the fleeing bandits running out from Multi National Joint Task Force (Op Yancin Tafki ) onslaught on their hideouts,” he added. Col Musa said there was no casualty on the side of the Nigerian and Cameroonian Forces.